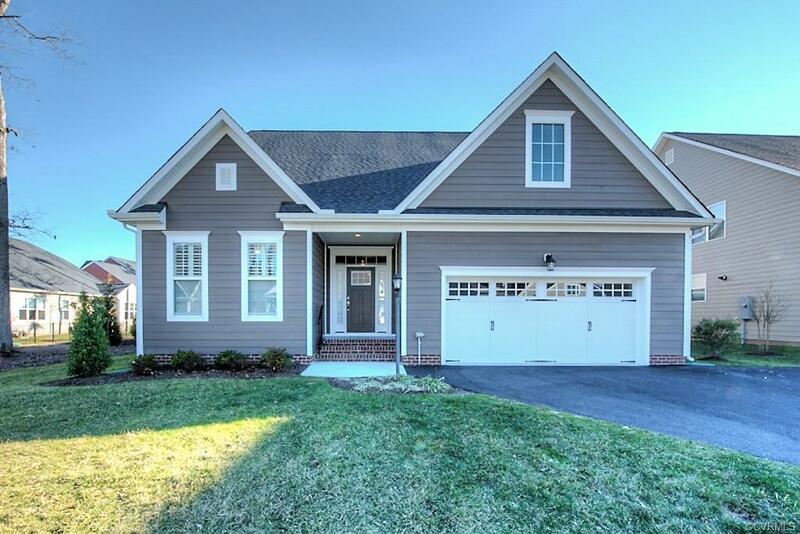 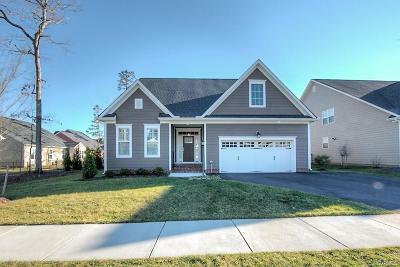 Welcome Home to Parkside Village, a charming, energy efficient 55+ active adult community close to Short Pump with an “out in the country” feel with all the conveniences close by! 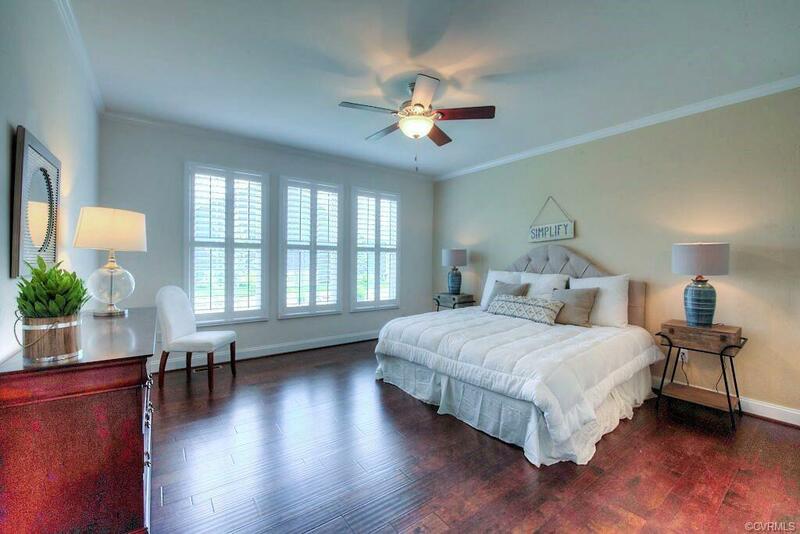 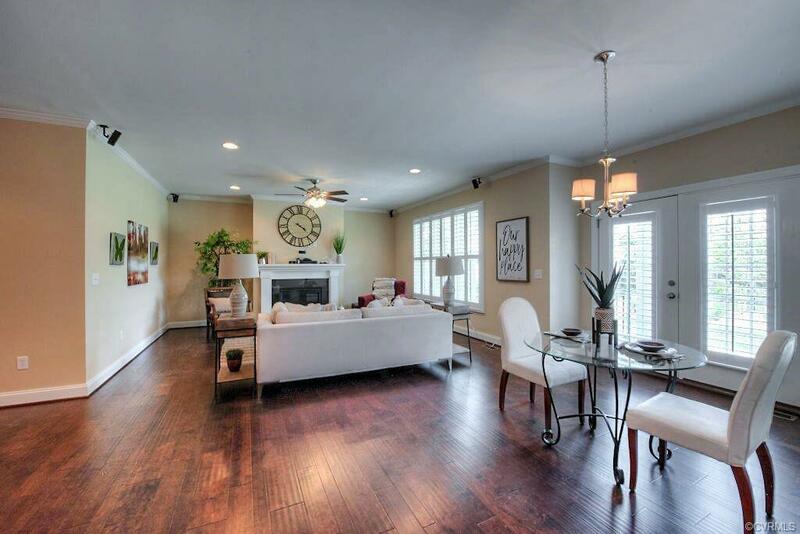 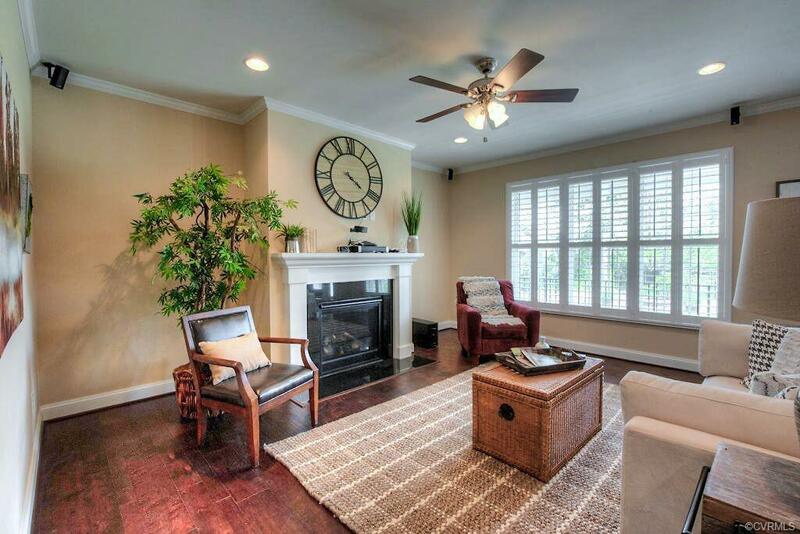 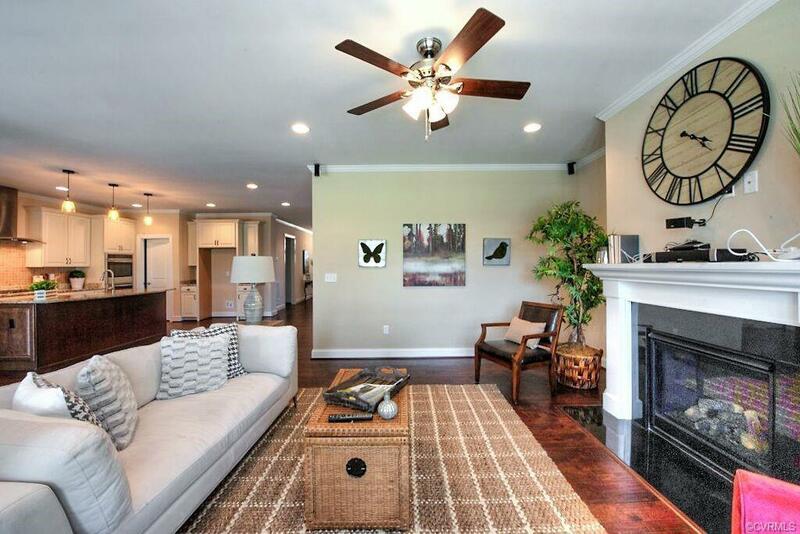 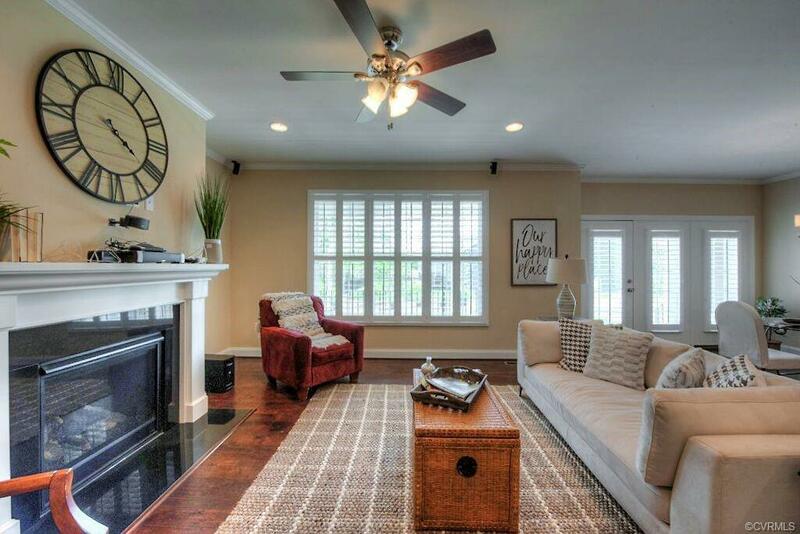 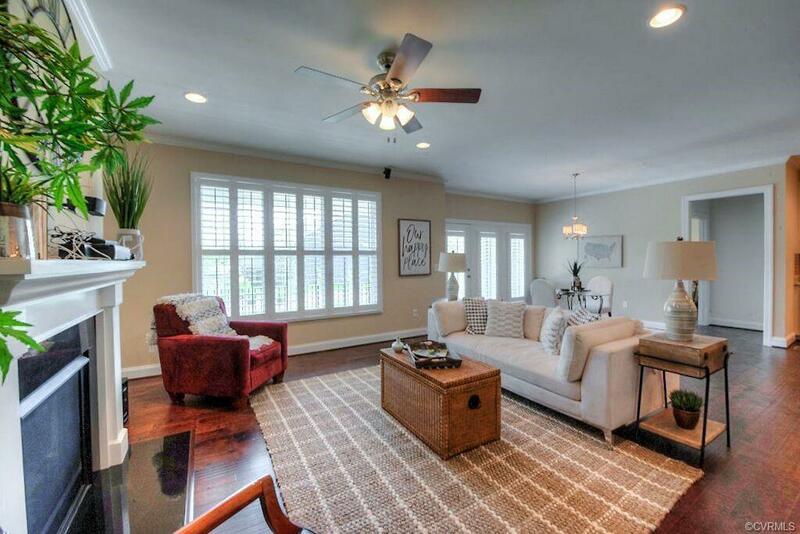 This customized Fulton open floorplan boasts 4 bedrooms & 3 full baths, exquisite 1st floor hardwoods & plantation shutters! 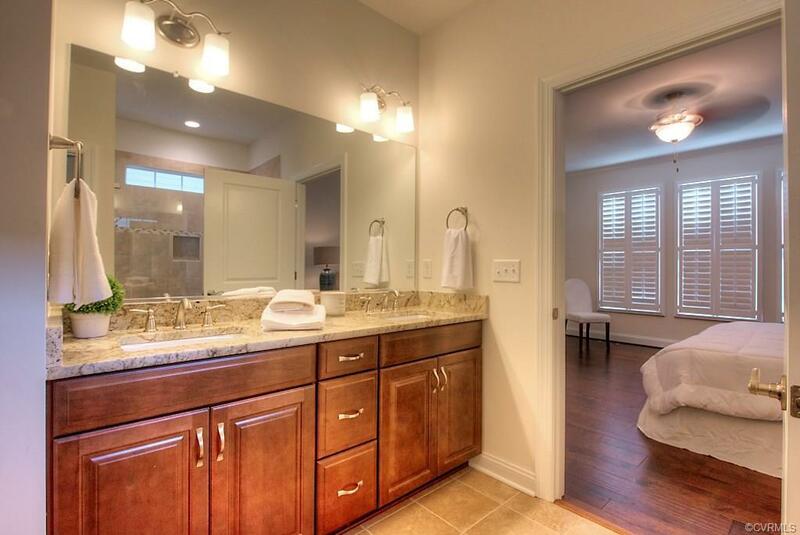 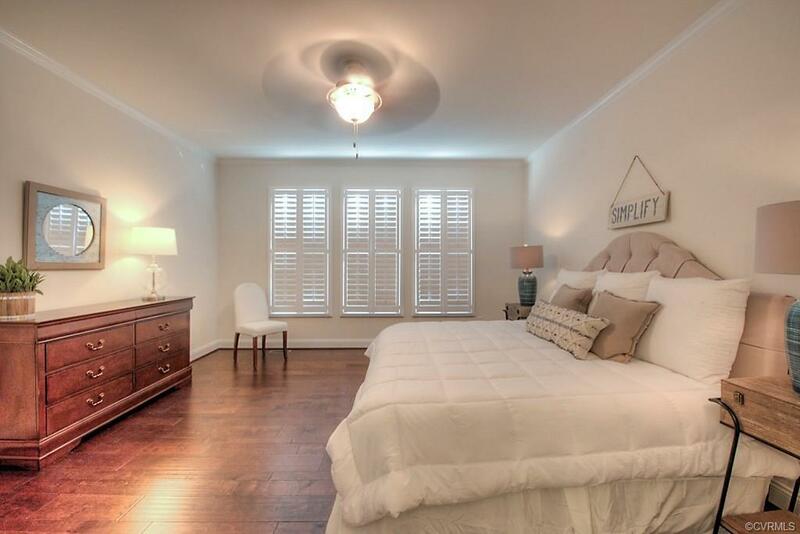 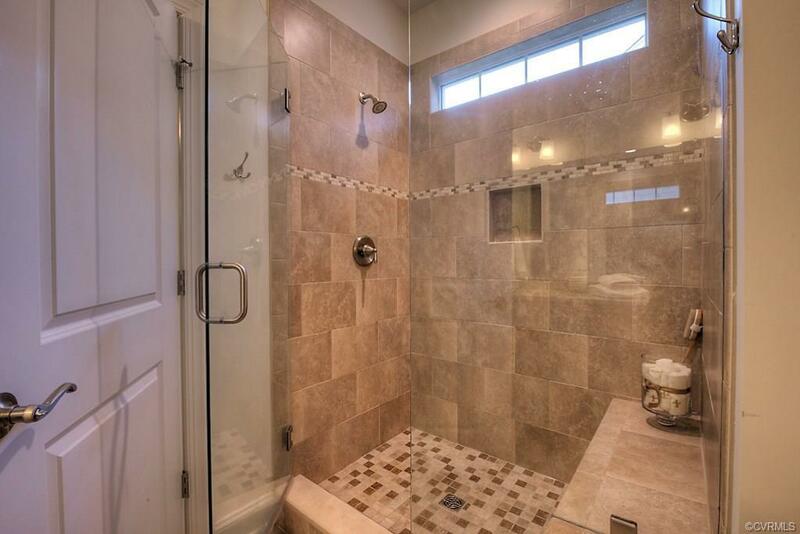 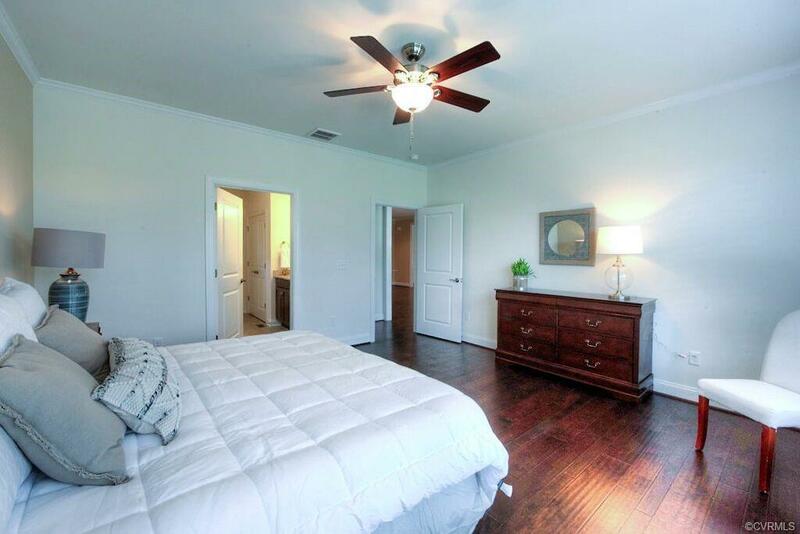 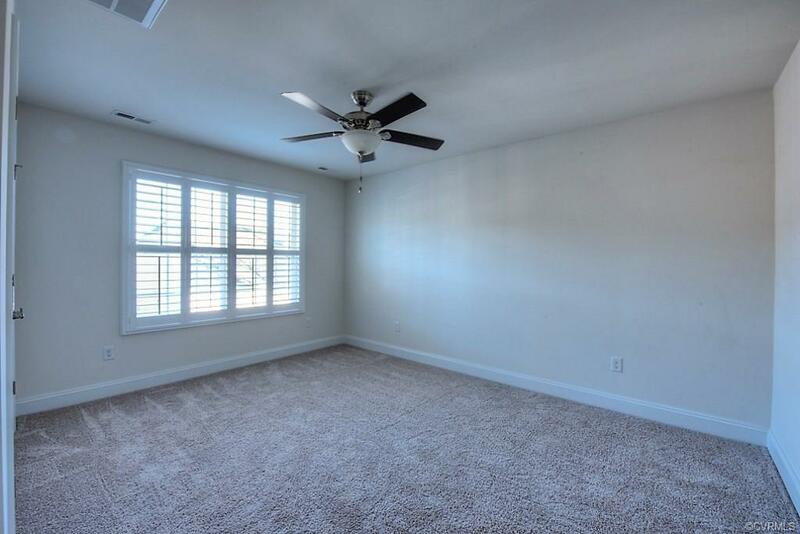 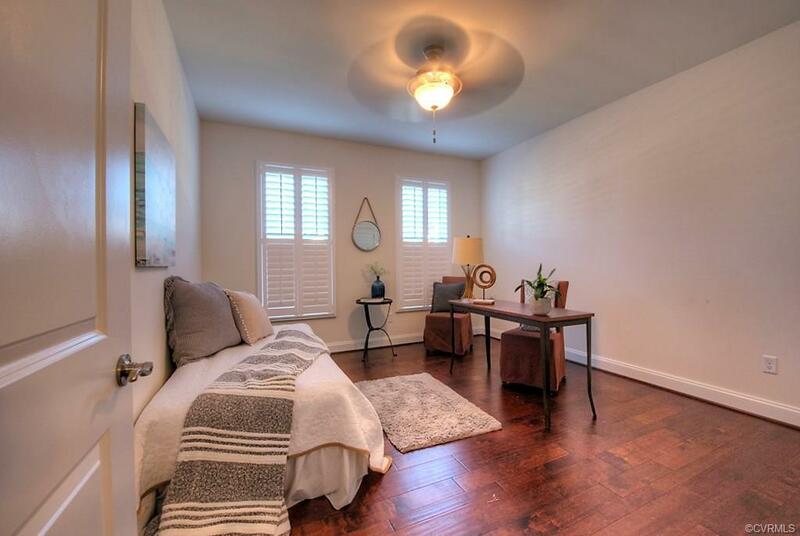 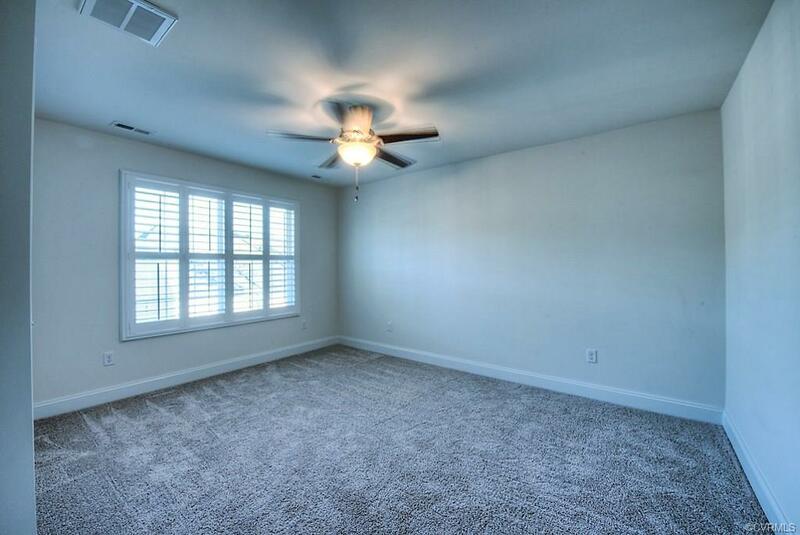 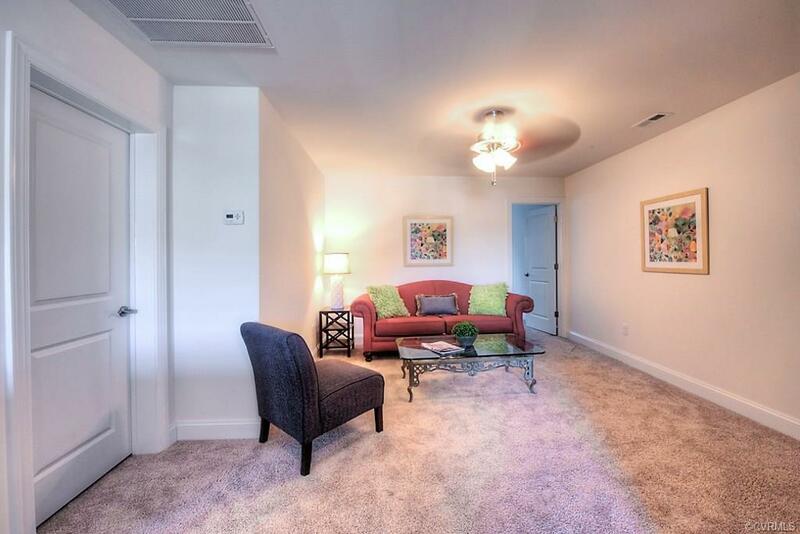 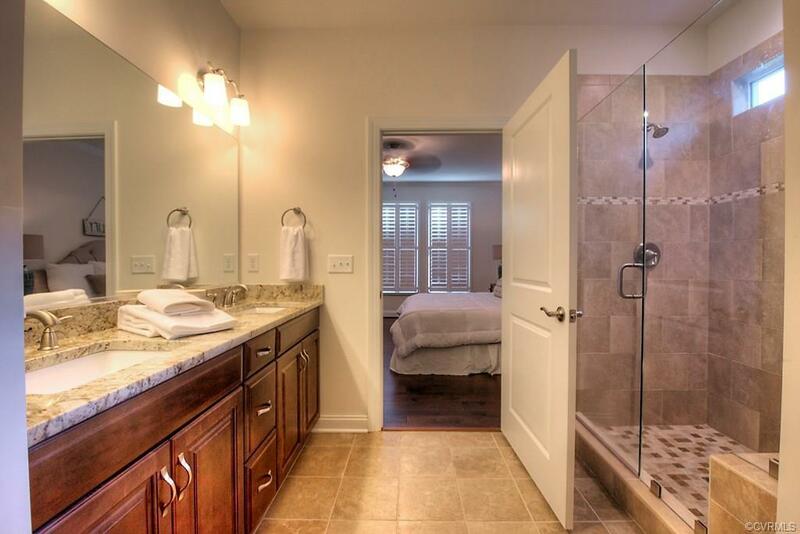 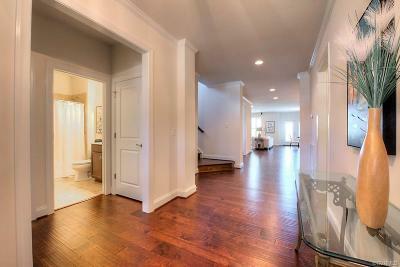 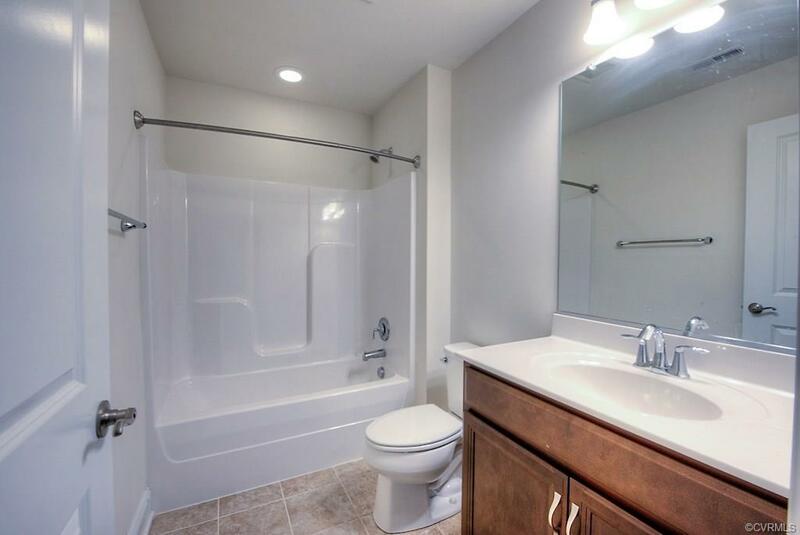 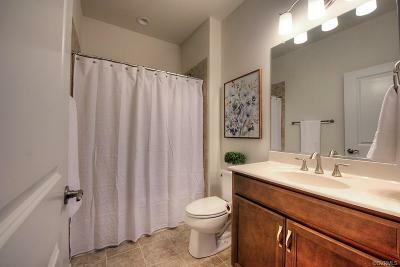 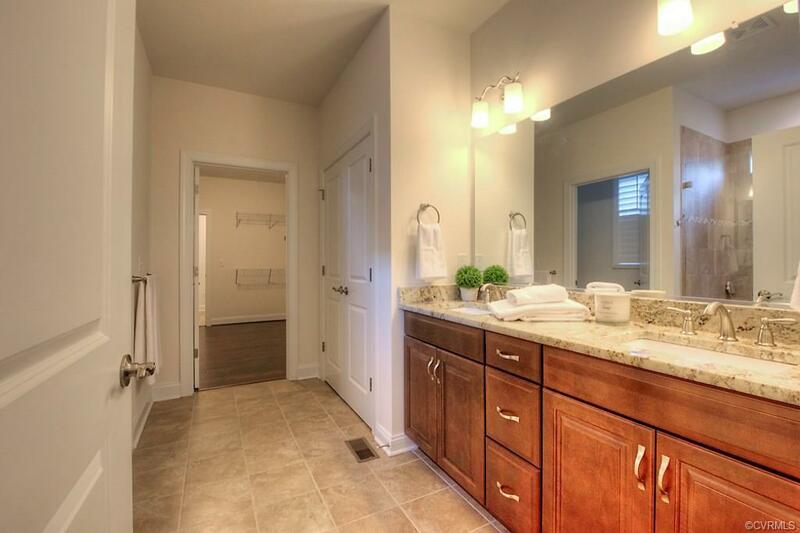 Master suite offers an en suite w/ walk-in tile shower, double vanities, and a huge walk-in closet. 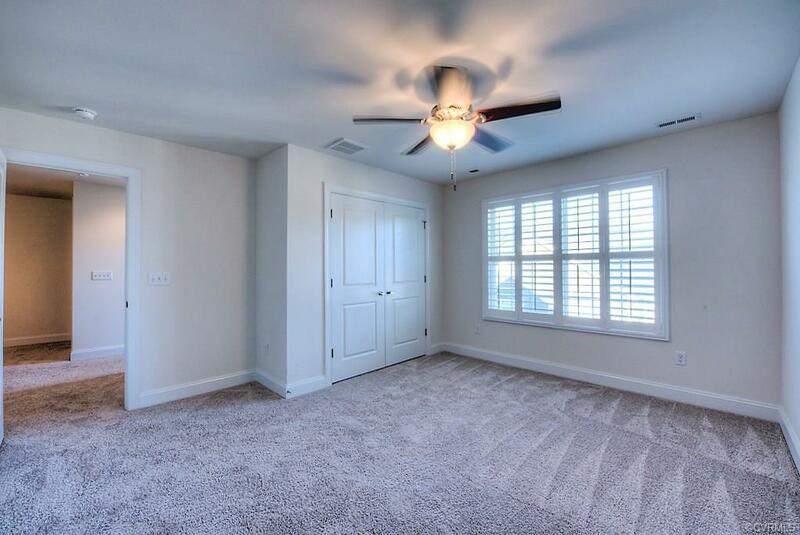 Additional 1st floor bedroom (or guest room, office, craft room). 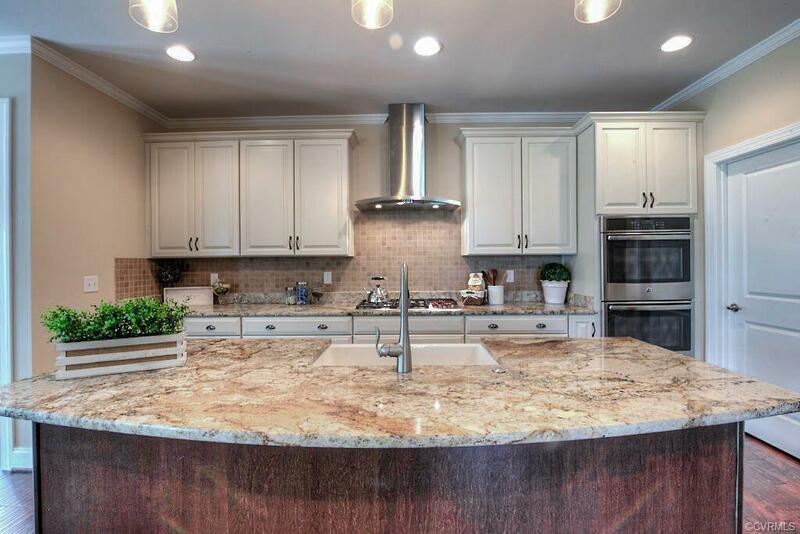 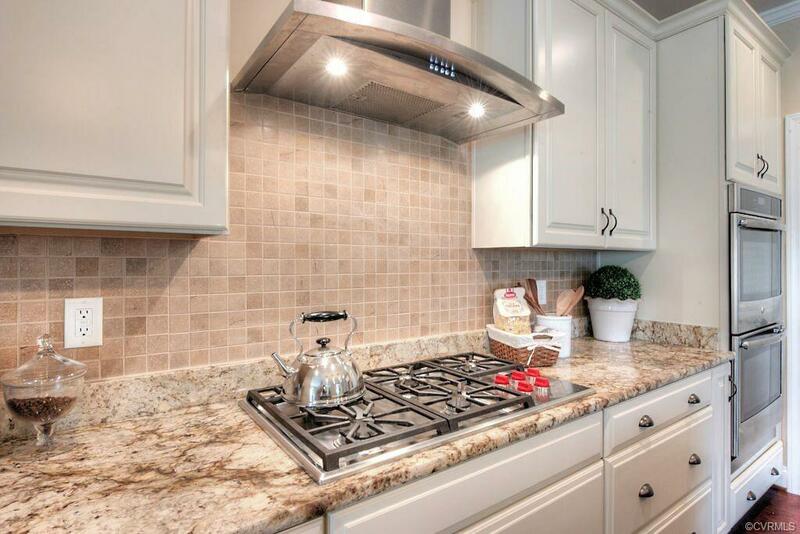 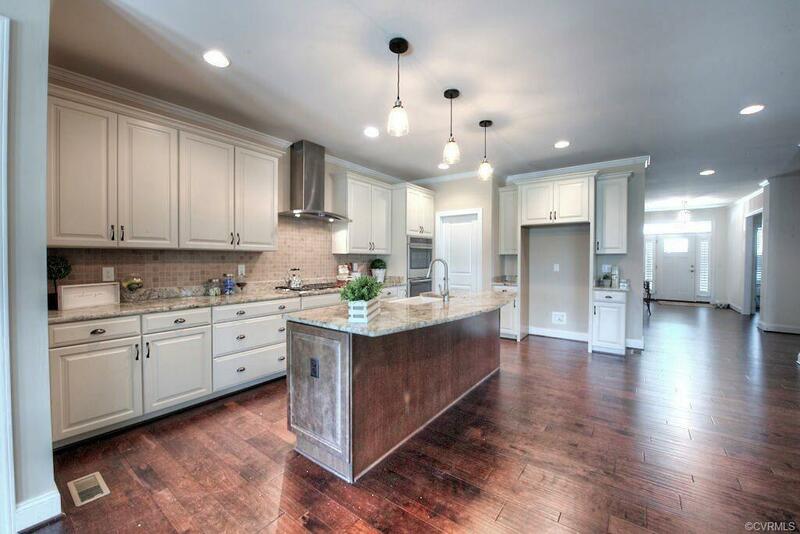 Cook’s kitchen features upgraded cabinetry/trim, an expanded island w/granite, farm sink, microwave drawer, 2 wall ovens, and every chef’s dream…a WOLF cook top! 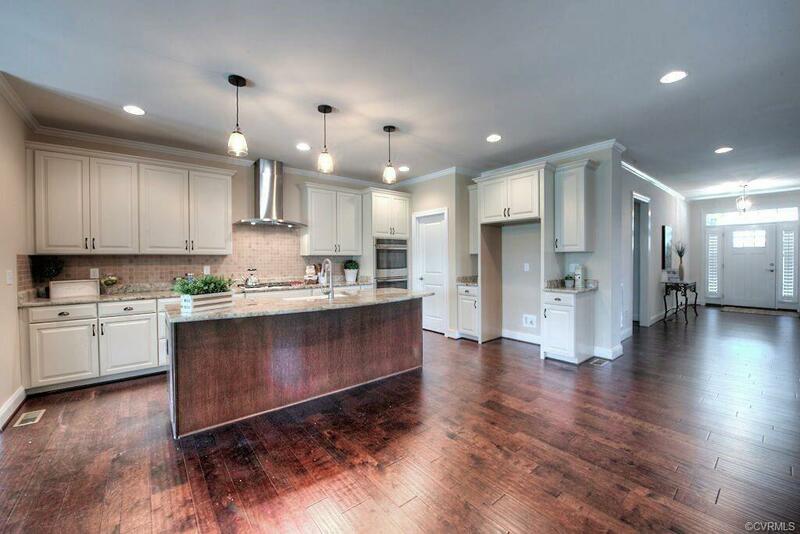 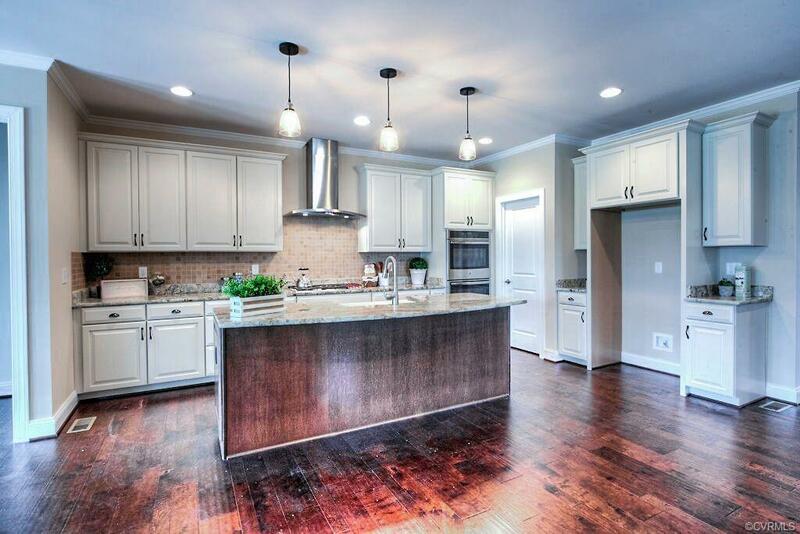 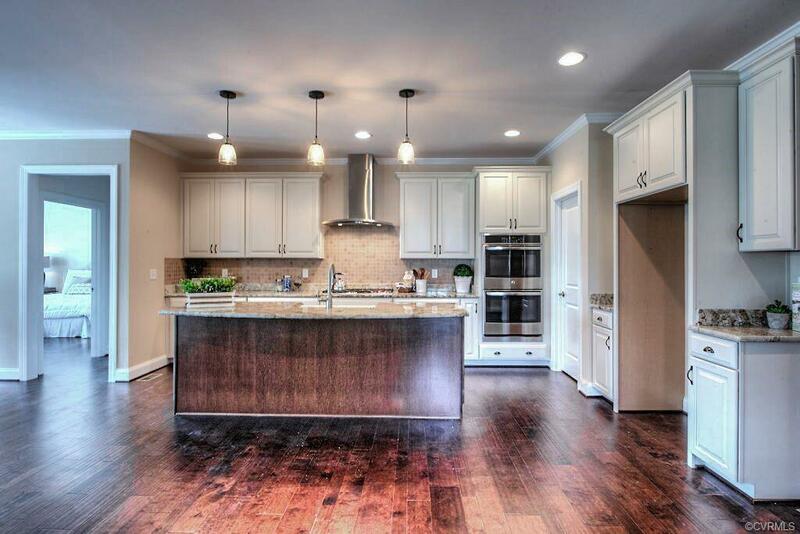 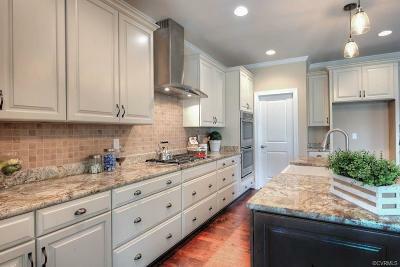 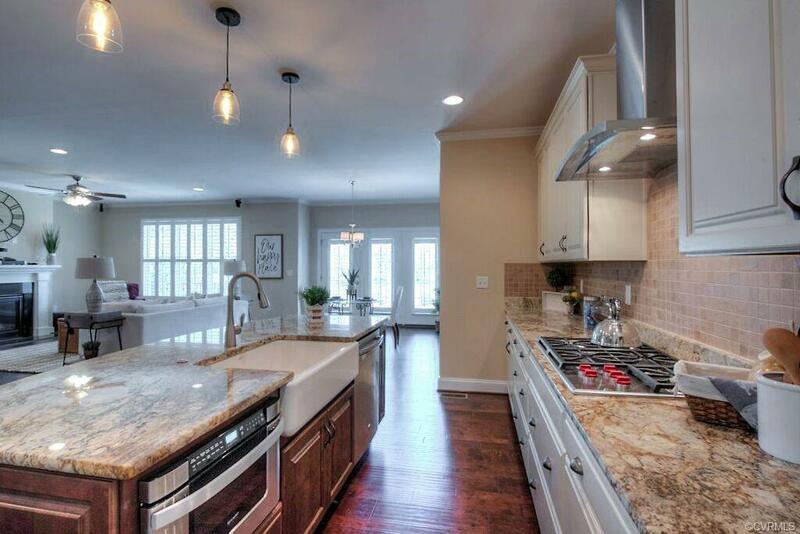 Walk in pantry, recessed and pendant lights complete the kitchen which opens to the living room & side dining area. 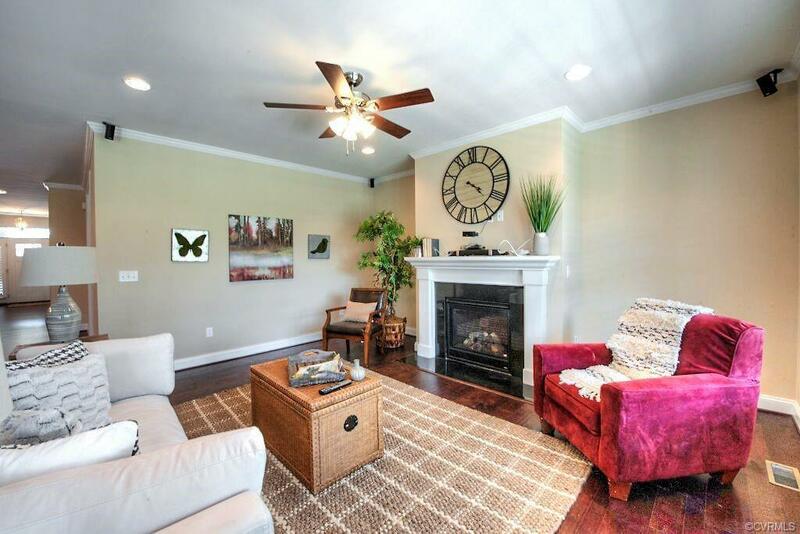 Remote operated gas fireplace w/temperature control, and the BOSE system included! 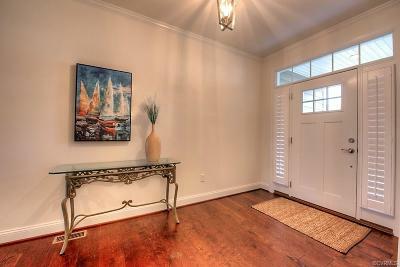 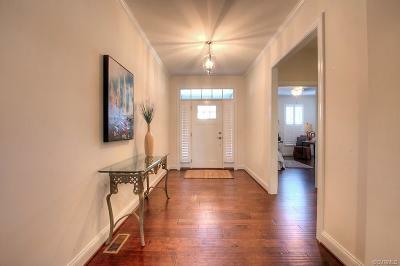 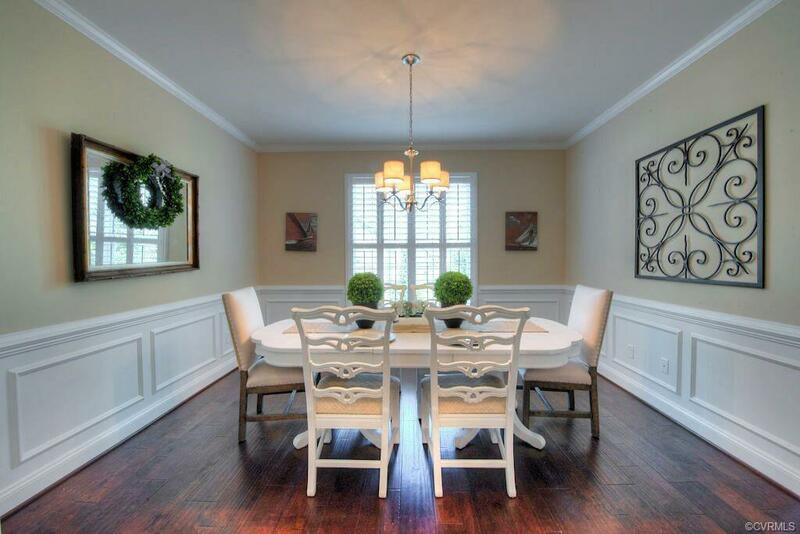 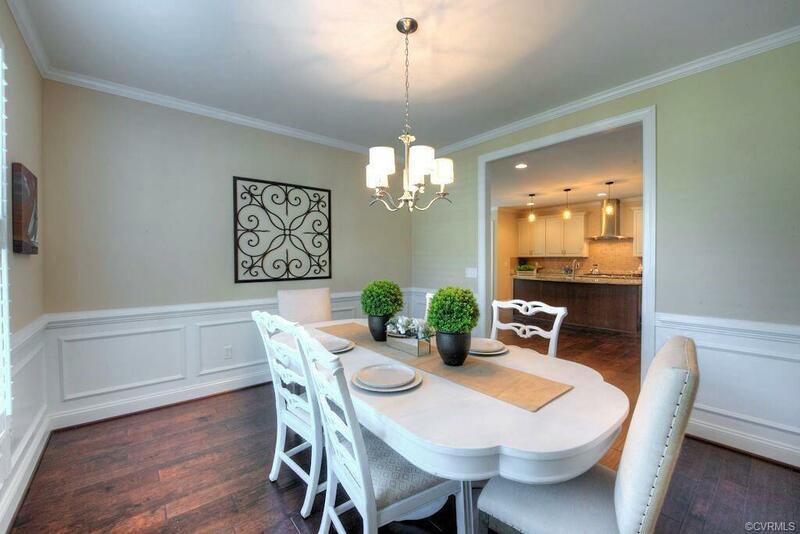 Formal dining room features moldings and custom plantation shutters. 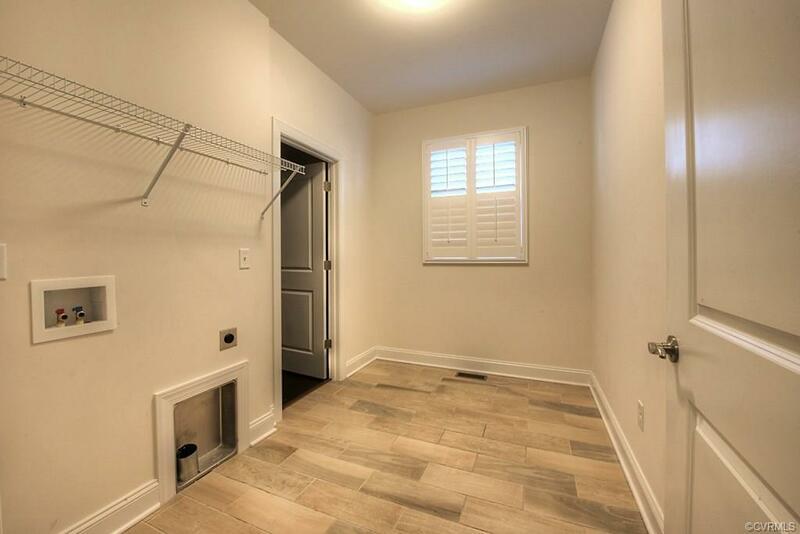 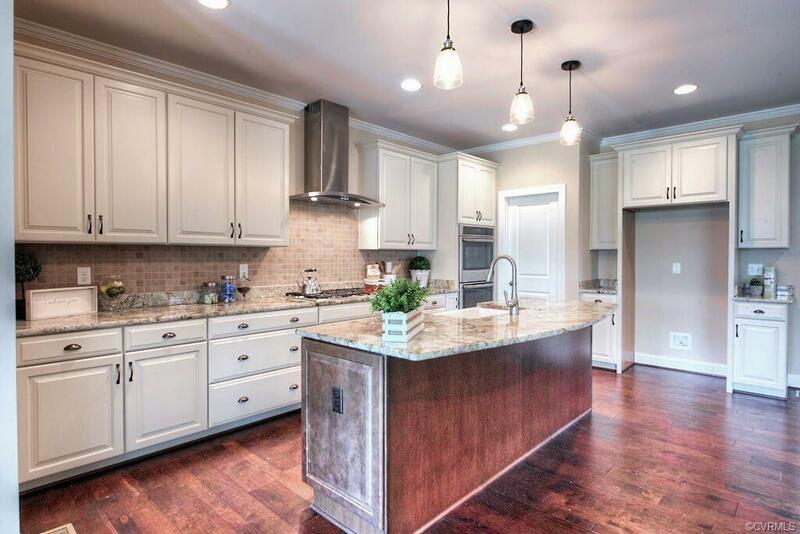 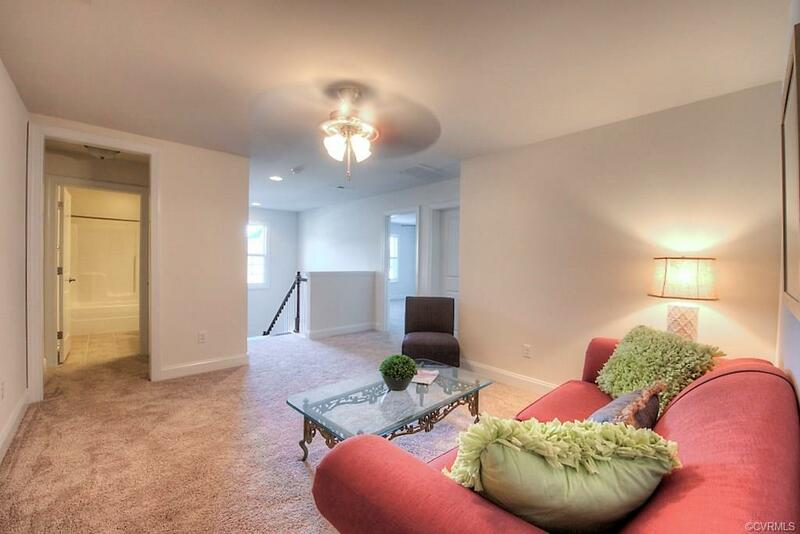 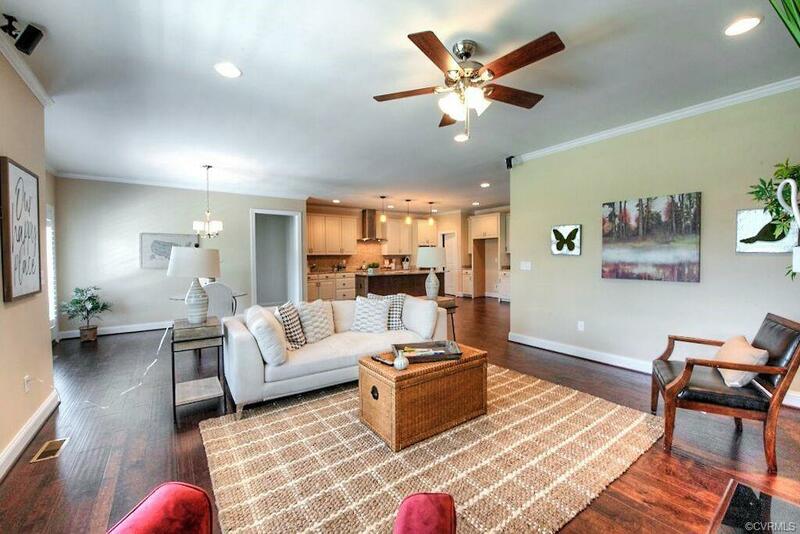 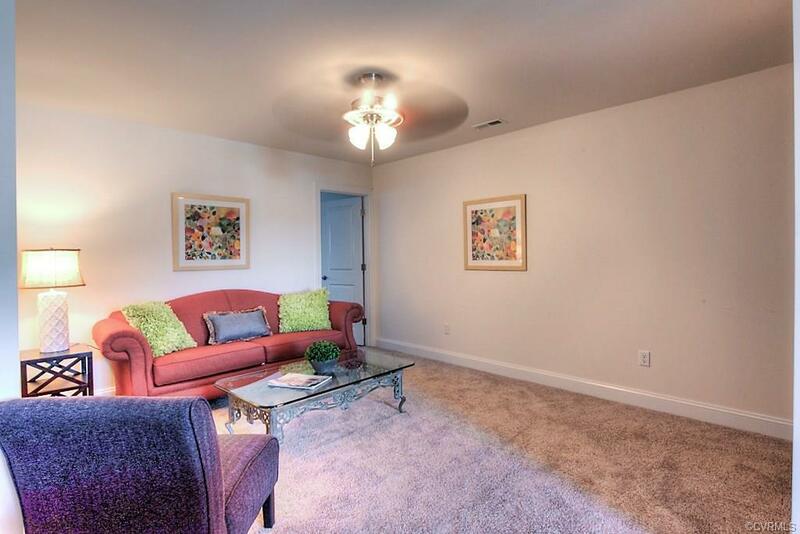 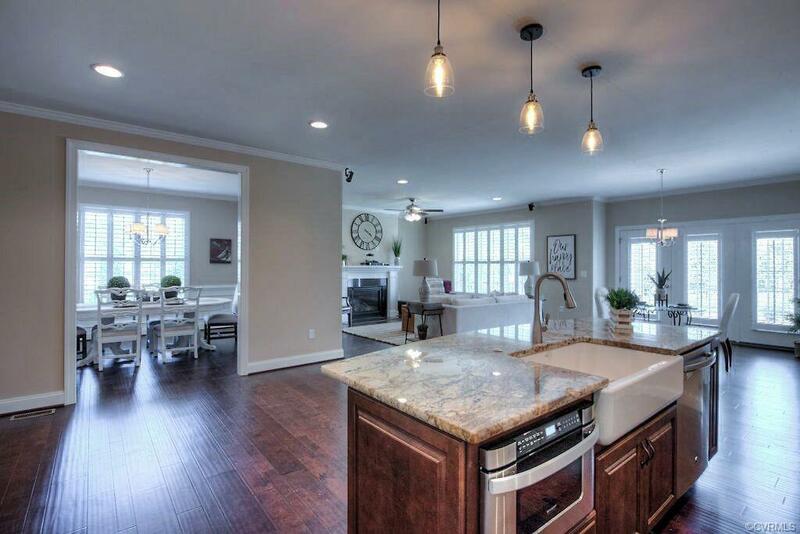 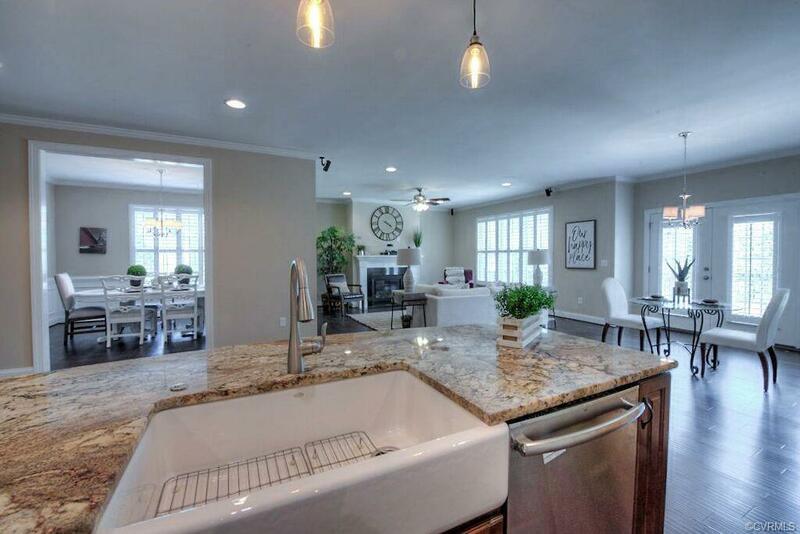 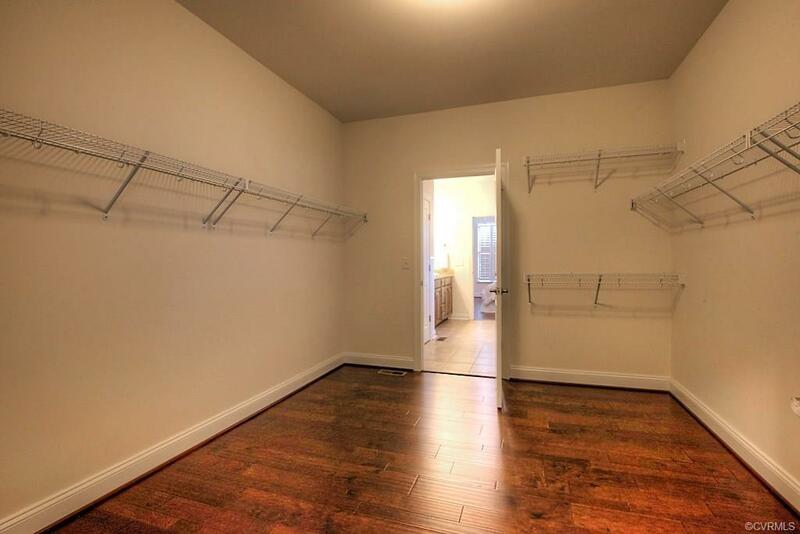 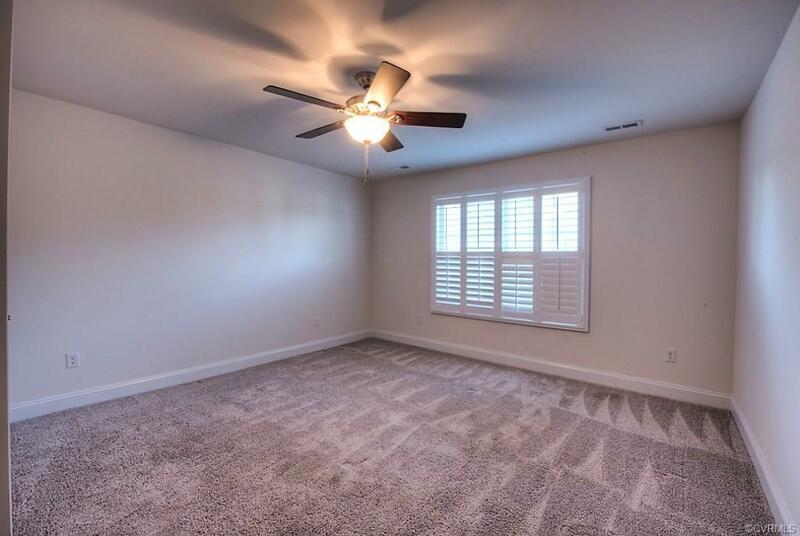 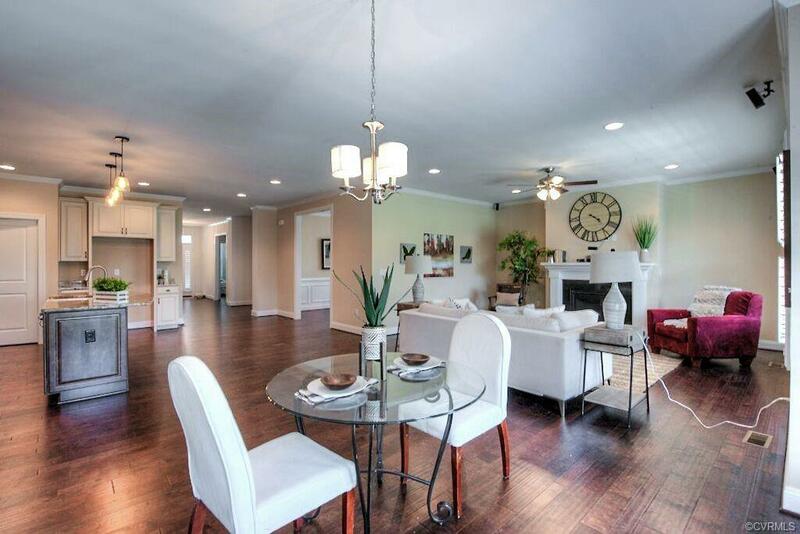 2 car garage, storage closets and full laundry room w/tile flooring complete the 1st floor. The second level features an open loft, full hall bath, two more king size bedrooms and a HUGE 20 x 12 conditioned walk-in storage room. 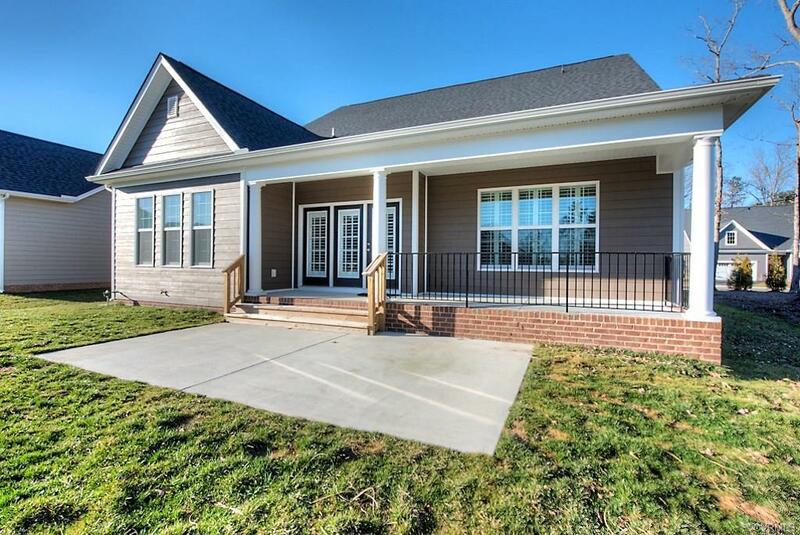 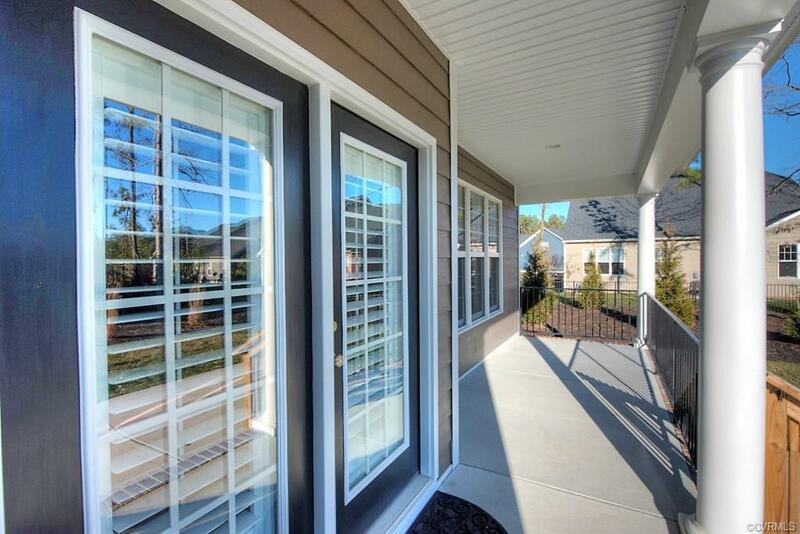 This walk friendly neighborhood is waiting its’ newest homeowners! 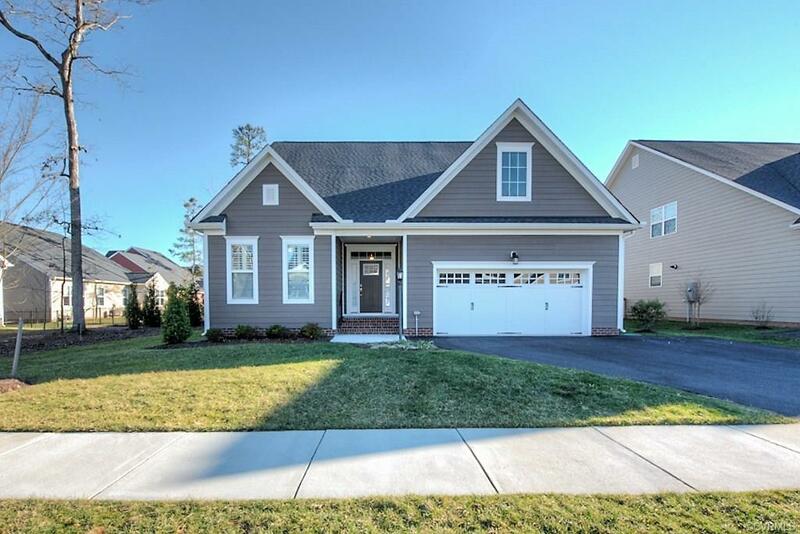 Directions: From I-64 West, Head West On Broad Street, Turn R@pouncey Tract Rd. 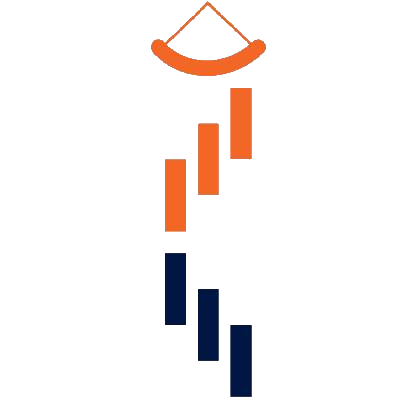 Turn L @light Of Nuckols/Pouncey Tract Onto Pouncey Tract To Parkside Village Community. 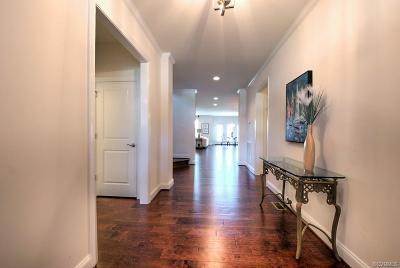 Turn L Into Parkside Village, R Onto Yare, L On Shenfield.